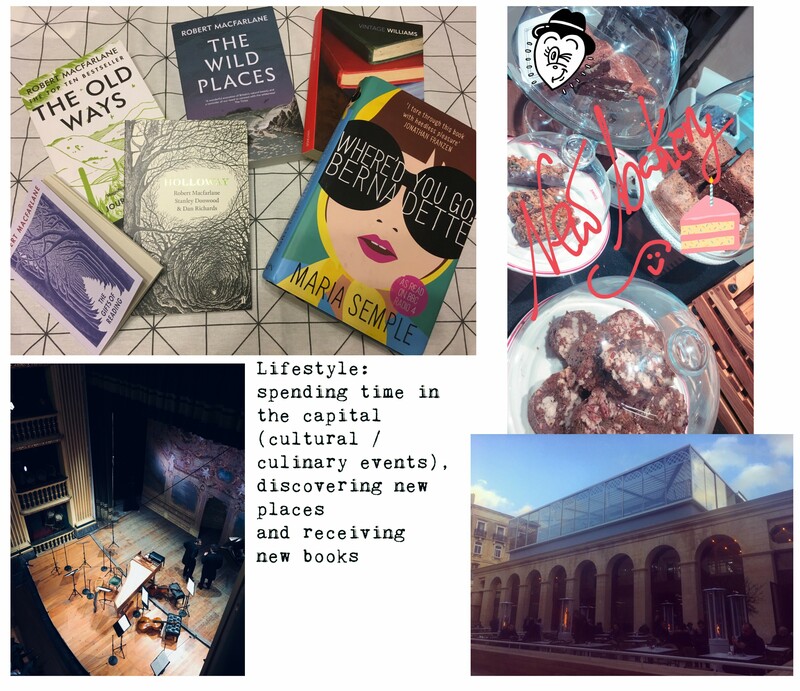 If you have read my previous post, you might have picked up on my reservations about blogging. My conclusion was that despite the claim that people are not into reading anymore, I will persevere and try to present as much new content as I can possibly manage to fit in within my schedule. For this reason, I am summing up the first month of the year which has gone by surprisingly fast. This is a collation of favourite moments and anything else that was worth noting. 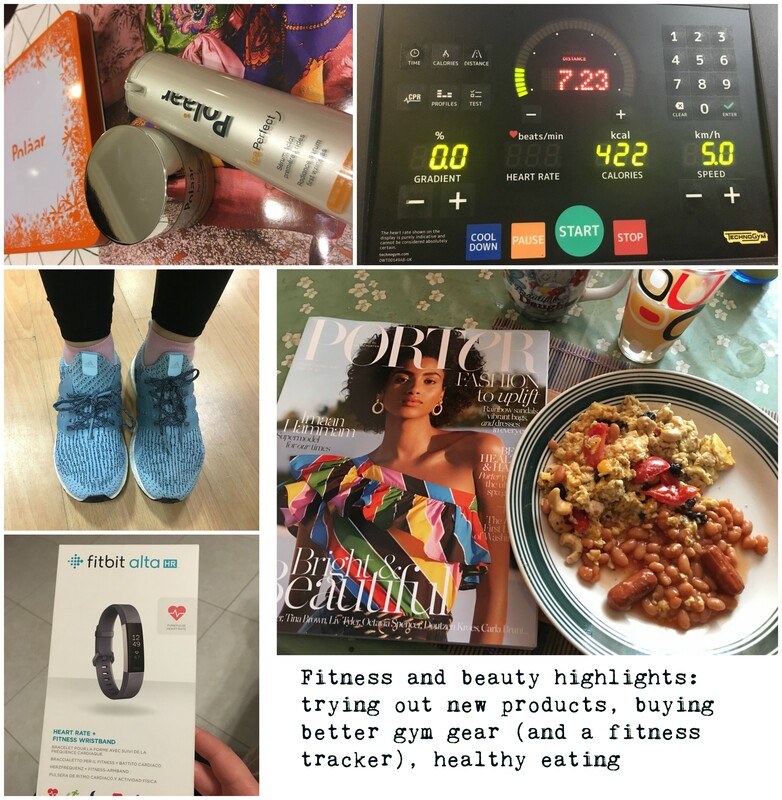 Moments 1: It was a healthy start to the year as I progressed on my fitness journey by taking up running more consistently and seriously, with the topmost distance covered being 8km in 50 minutes at the gym, and over 15 km (in the countryside). I mostly do HIIT so that my muscles have time to recover whilst the change in heart rate ensures a better fat burn percentage. It also helped to get myself fresh trainers such as the Adidas Ultraboost and the Nike Air Zoom as both of them provide extra cushioning and a better bounce effect to protect the joints and knees, so running would make less of an impact. To complement the fitness routine, I have also maintained a healthy diet of mostly home-cooked meals. Lastly, the ALTA HR Fitbit (one of my graduation gifts) was a godsend as it has made me more active and aware of certain aspects of our health, such as sleeping patterns and the heart rate. Moments 2: The creative side of this month emerged in the form of 3 different photo shoots (coming soon to the blog). It was no mean feat to organise so many in one month given that I work full-time and have other commitments, but this is an opportunity for me to thank the people who really helped me to make it happen (you know who you are). The plan is to do more of these as I go along because I realised how much I enjoy them even though they are HARD WORK and not as some people think, a walk in the park. Suffice to say that I felt drained after the shoots because of the precision I was after, but it is worth it at the end and so rewarding. Moments 3: This month saw me enjoying more of our beloved Valletta, which is the Capital City of Culture 2018. In time for this momentous celebration was the revival of the old market (Is-Suq) and I happened to visit Valletta on numerous occasions for dinner, a concert and other events / meetings among which was one of the photo shoots above. Moreover, I am a book lover and I am glad to say that post-PhD I am now finally reading for pleasure once again, as I can do so without feeling guilty. Moments 4: Speaking of the PhD, 2018 will definitely be a year to remember because I finally made my dream come true. 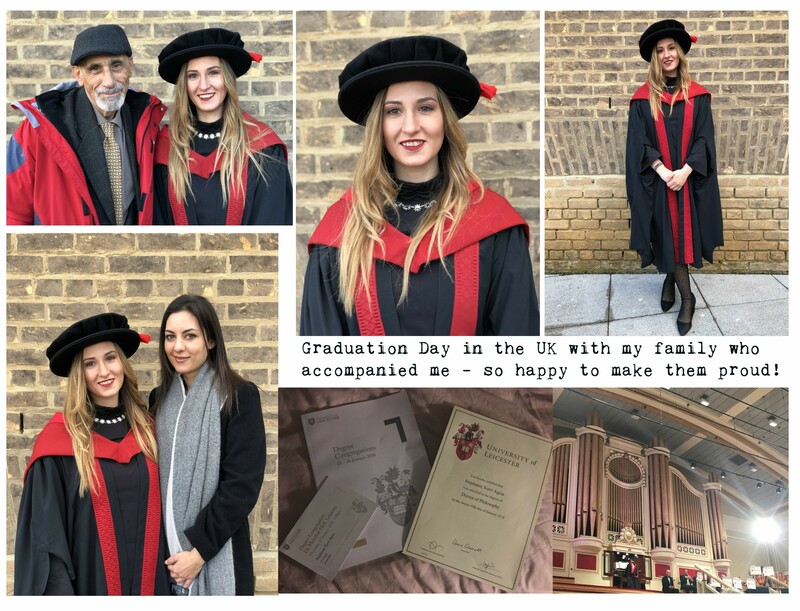 Through intensive work and dedicated research, I have been awarded the doctorate (hence the big hat) from the University of Leicester and I cannot be happier. My family members and closest friends / social network know something about the challenges I had to face and endure but finally the road to graduation has led to joy, pride, and relief all at once. Additionally, the trip to the UK was special because some family members joined me in the celebration. 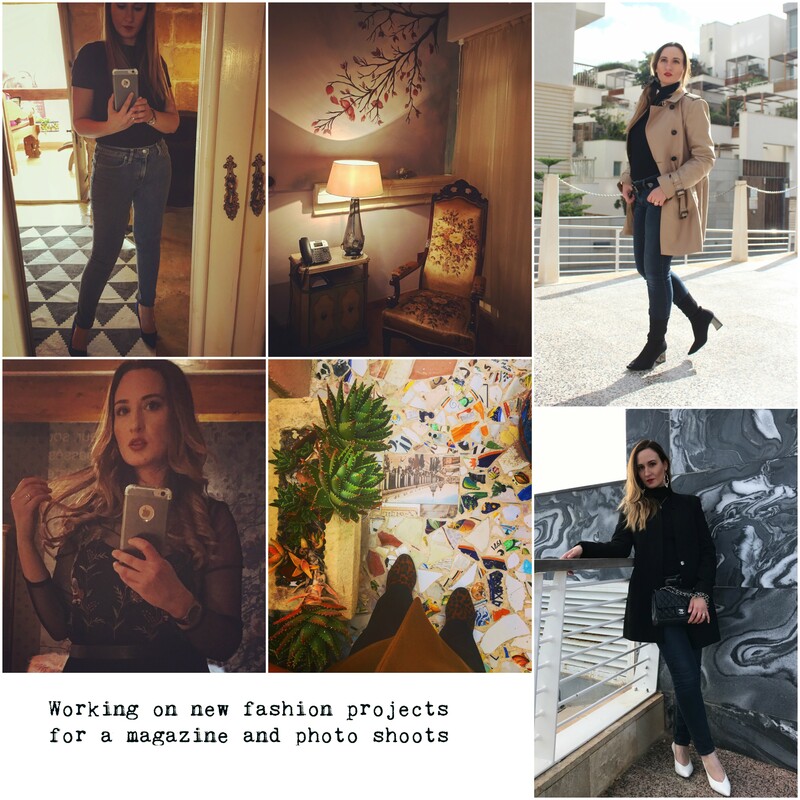 Hi, I am happy you will persevere & continue sharing – I still enjoy reading blogs (not all blogs – I loath all sponsored posts because I am sceptical on for reliability) like yours where the content is honest, real and well written. Congratulations on your PhD !!! Thank you Angele! I really appreciate your comment, it makes it all more worthwhile for me to keep blogging!